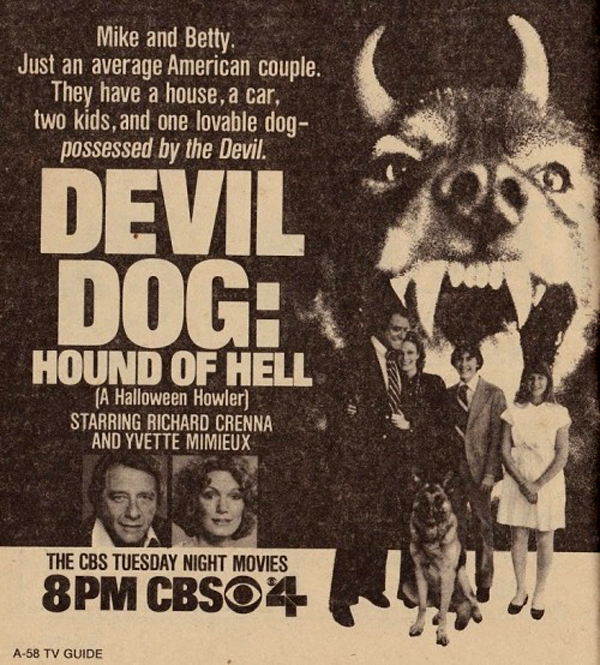 13: 1970's QUASI-SCARY TV MOVIES! "Weekend Of Terror" from 1970 with Robert Conrad, Carol Lynley, and Lee Majors! 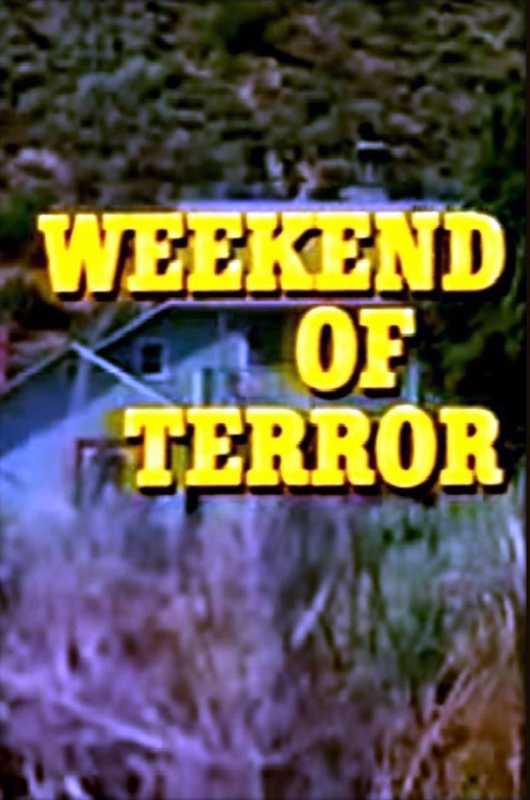 "Three nuns on a weekend trip are held hostage by escaped convicts." 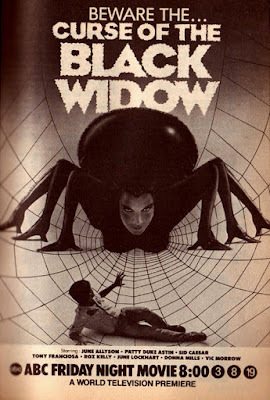 Sounds like a good time, how could you go wrong there?!? From 1971, "A Howling In The Woods" starring Larry Hagman and Barbara Eden who were both not only in "I Dream Of Jeannie," but also on "Dallas!!" 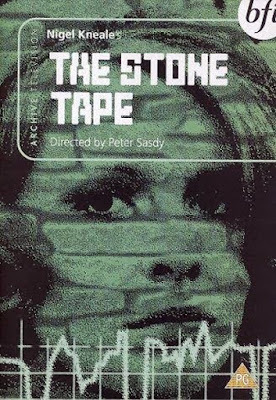 The 1972 ghost story "The Stone Tape!" Barbara Eden is back in the 1972 movie, "The Woman Hunter" with two other Dungeon notables, Robert Vaughn and Stuart Whitman! 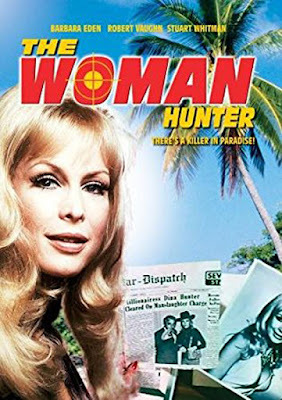 "There's A Killer In Paradise!" 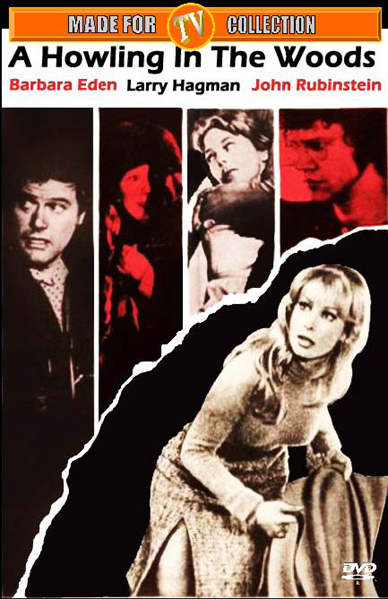 Also in 1972 was "Night Of Terror" with Martin Balsam, Chuck Connors, Donna Mills, and Agnes Moorehead! 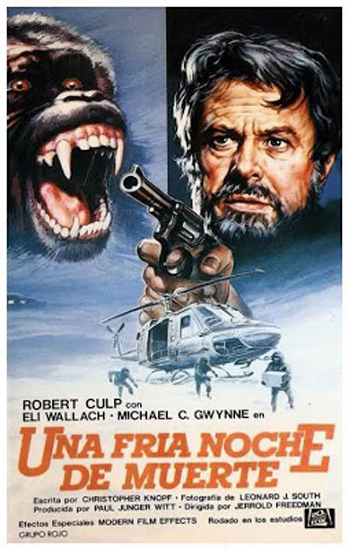 1973 delivered "A Cold Night's Death" with Robert Culp and Eli Wallach! Also in 1973 came "The Norliss Tapes" with Roy Thinnes and Angie Dickinson!! "Once the demon is awakened he will be granted immortality!" 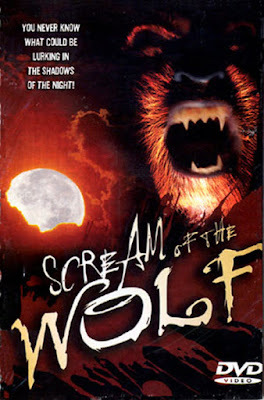 The cast of the 1974 movie "Scream Of The Werewolf" was a fairly all-star affair that included Peter Graves, Clint Walker, Jo Ann Pflug, and Don Megowan, who ironically enough or not, was the Sheriff in the 1956 classic, "The Werewolf!" 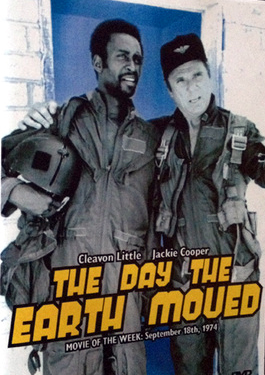 The 1974 movie "The Day The Earth Moved" also had a cast of immense pop culture proportions, that included Jackie Cooper, Clevon Little, Stella Stevens, and Beverly Garland, but I still doubt I'll ever watch it! Anthony Franciosa, Donna Mills, Patty Duke, June Lockhart and Sid Caesar! 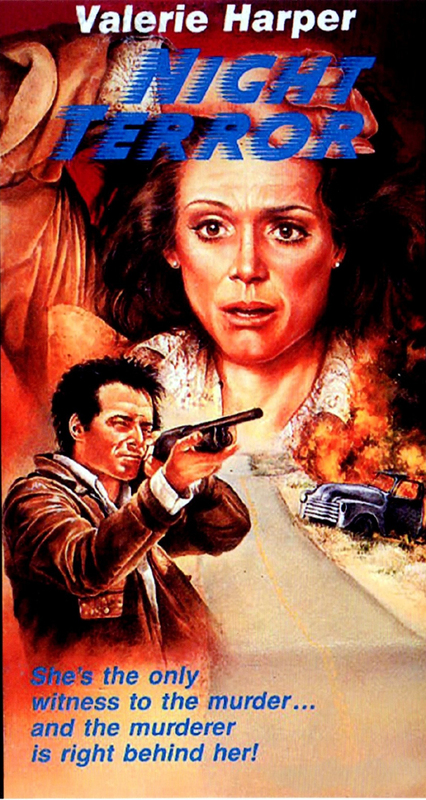 "Night Terror" aka "Night Drive" also came out in 1977 with Valerie Harper! 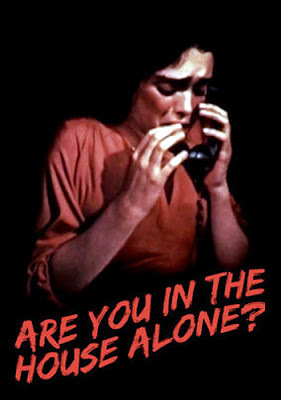 "A teenage girl is harassed by a stalker" in another 1978 movie called "Are You In The House Alone?" So, there you go! IF I've slighted your favourite movie, then by all means leave a comment, and I'll make sure and give it the treatment it deserves, but until then, Aloha, Auf Wiedersehen, & Buenos Noches! THE STONE TAPE is awesome. Go watch it right now. 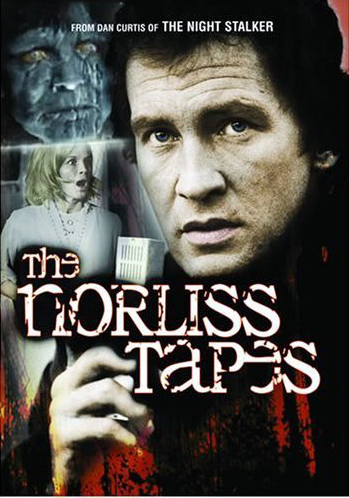 THE NORLISS TAPES was pretty good, and looked like a failed pilot. Very KOLCHAKish. Yes Boss!! That's what I needed to hear!! 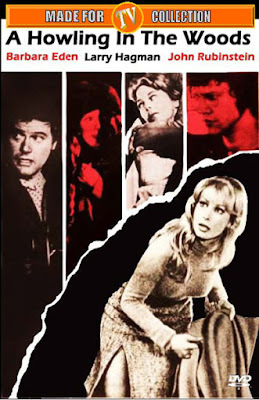 Another goodie is DYING ROOM ONLY (1973), written by Richard Matheson, and starring Ross Martin, Cloris Leachman, and Ned Beatty. 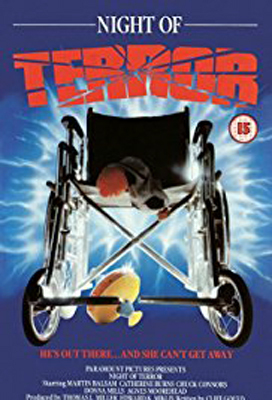 I wondered about it for decades, until the MOD DVD was released so it could be viewed again!